With the economy in crisis as it is, and the fact that my den (aka playroom) is in a different type of crisis (overrun with toys) I would like to suggest a limit of $25 per household member this year. We will make sure Boog gets the Nintendo DS he's been begging for, and we'll get Puddin Pop her Barbie Dream house (I swear it's her and not me asking for this) so you can concentrate on smaller, less expensive stuff. I'm sure the stuff the elves make is way more valuable than $25, so I've researched your dilemma and have come up with a favorable solution for both of us. Kmart has been selling quality products at affordable prices for over 100 years and this year they are offering over 25,ooo items under $25. I know your a busy man, so I've already picked out some items for the four of us. For Hubby: This Coby Digital Keychain. He'll never be without current pictures of the kids again $19.99. 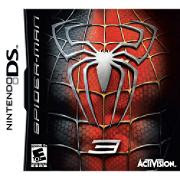 For Boogie: Spiderman 3 game for the DS his father and I are getting him $19.99. 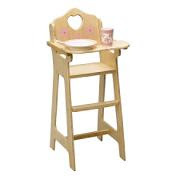 For Puddin' Pop: This highchair for her babies. I believe it is the only thing we do not have to put the babies in. She will absolutely love it $19.99. Again, I know you are very busy and I'm not sure how close you are to Kmart, so I would be more than happy to pick up these items for you. I would even be willing to wrap them for you. You just have to let me know ASAP and send me the $100. I will not be doing any shopping after Thanksgiving except from my laptop so you would then be responsible for shipping as well.